According to home automation platform Wink, more than a quarter of all US homeowners use an Internet of Things (IoT) device in their homes. The company also details that the average homeowner or renter with smart home products benefits from a safer, securer home and that interest in smart home devices continues to grow despite product installation costs. Such homeowners likely want a guaranteed return on investment on their in-home IoT products before choosing to buy any. If This, Then That (IFTTT), a web-based automation service, can provide them with that assurance. It also meets the needs of those individuals already experiencing increased safety and convenience. Read on to learn more about IFTTT and how it works with your IoT-based devices so you can determine if investing in this tech is right for you. 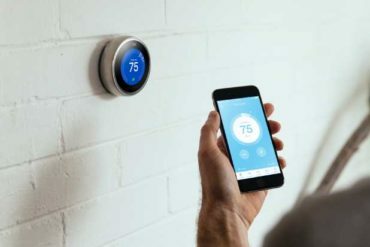 IFTTT enhances connected home devices, which include smart home security systems, lightbulbs, thermostats, doorbells, refrigerators, speakers, etc. The list of connected products is long—and getting longer. IFTTT keeps the list from overwhelming homeowners by acting as the glue and catalyst. First, it connects and coordinates all the smart pieces of each device. Doing so often thwarts many of the usual compatibility issues you’d confront when working with different smart devices that wouldn’t normally connect together. As a result, the home works smarter rather than harder. Second, IFTTT allows users to develop custom applications, also known as applets. These applets can do almost anything to enhance device compatibility, even if the devices wouldn’t normally work with each other. The results largely depend on the instructions set through IFTTT and communicated to the relevant connected devices. Tom’s Guide shares how to use IFTTT so a home’s smart lightbulbs respond to touchdowns in a football game in real time. The example reveals some of IFTTT’s capabilities. Here are six more examples of that power, albeit ones more useful to a smart home than the football applet because they aim to improve home safety, security, convenience, and monthly utility bill costs. No one wants to log into an app and tap a couple of items to change the light color or luminescence. At that rate, the light switches on the walls work faster and easier. IFTTT and Philips Hue mitigate the inconvenience, making it possible for you to turn lights on and off with a single tap on a connected smartphone. IFTTT also works with various smart thermostats, Nest and Honeywell included. 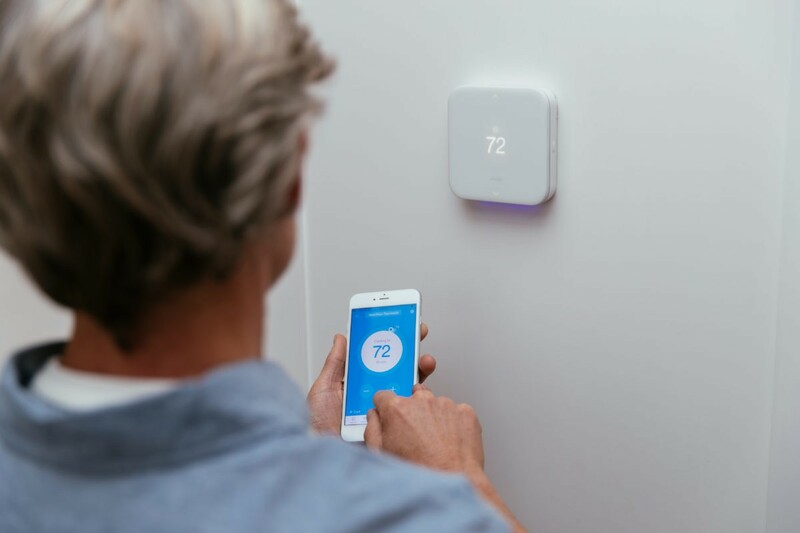 With these integrations, IFTTT automatically lowers a thermostat’s setting based on outdoor temperatures. Additionally, IFTTT can turn off thermostats based on life events, such as a weekend getaway or summer vacation. You might think IFTTT- and IoT-based home automation devices cut costs on electric and gas bills—and you’d be right. However, IFTTT and IoT can also save on water bills. The Save Water applet, for example, responds to external environmental conditions. If it detects rain in the forecast, it automatically shuts off the watering system to your lawn or garden. Things like water damage prove painfully expensive to repair, especially when insurers refuse claims. You can take some preventive steps by employing in-home IoT devices like the IFTTT-enabled Honeywell Lyric. One of the Lyric applets sends a text message when a water leak occurs, mitigating the risk for further damage. IFTTT integrates with many smart home security devices and systems, including cameras and controls you can manage from your smartphone. These products use applets to deliver greater security, allowing you to automatically arm your system when you leave your house—and alerting you to product upgrades that fit your lifestyle best. Other applets call a homeowner’s smartphone when the home alarm goes off. Still others integrate with specific devices, as in the case of the SkyBell doorbell and WeMo Motion sensors. You likely tour your home before going to bed, checking locks, closing shades, and turning off lights. The smart home sometimes simplifies the process. But it can also exacerbate it, particularly when IoT-based devices refuse to work together or need many, individualized instructions. The Goodnight All! applet automates this process, keeping bedtime more relaxing and worry-free so you can sleep soundly. The six applets shared here don’t even scratch the surface when it comes to IFTTT and the IoT. With thousands of IoT-connected devices on the market, you—and homeowners like you—can invest in the smart home with confidence. 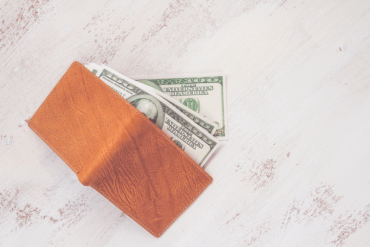 IFTTT will make the investment worth the initial cost and make it work for not only for your good but also for your budget.